Profeetat is a collaboration of two of the biggest rap stars in Finland, Cheek (Jare Tiihonen) & Elastinen (Kimmo Laiho). 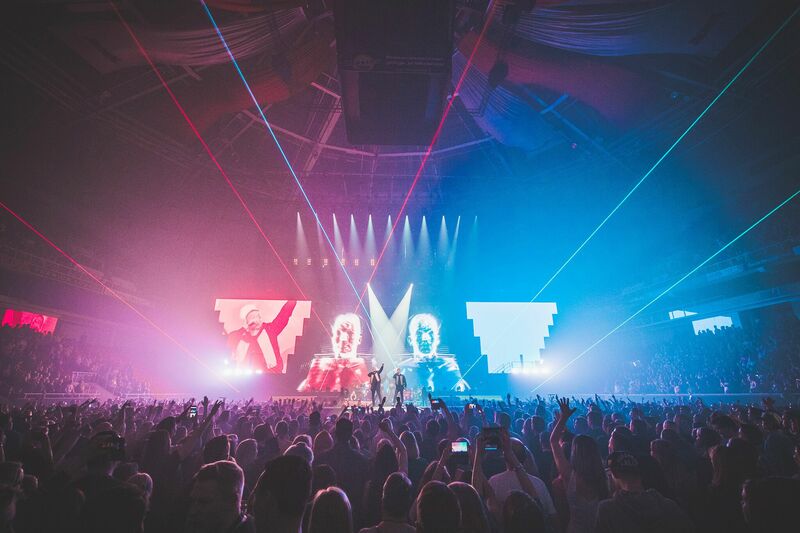 MOBB Helsinki Oy was asked to design and produce the shows, which were the biggest indoor arena production in Finland. 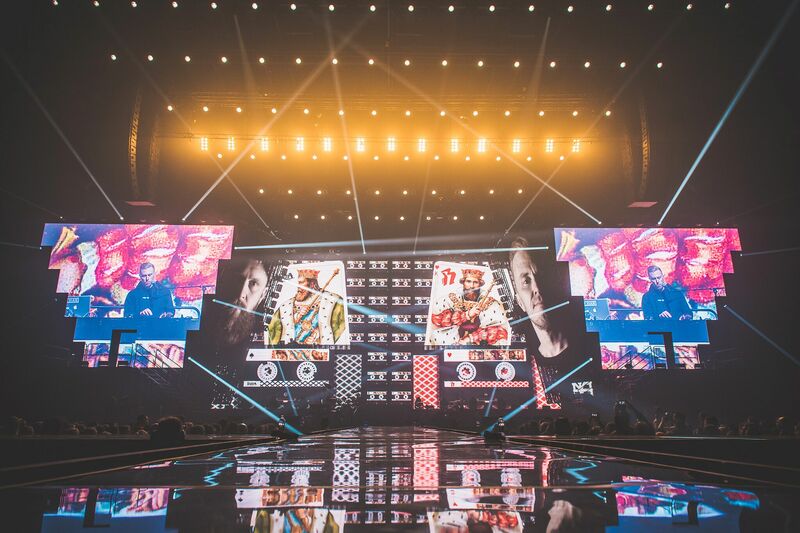 The show in stats: 4 days, 3 sold-out arena shows, 2 rap stars, 13 band members, 75 crew members, 16 riggers, 34 local stagehands per show, 13 trucks to transport, 1250 + 340 LED tiles, 3 Hippotizer V4s, 350 lighting fixtures and over 30000 guests. MOBB used Notch to add effects to and boost the live image feed, combined with pre-rendered and pre-shot video content from their studio. Kinect cameras were used to clone real dancers to screens.